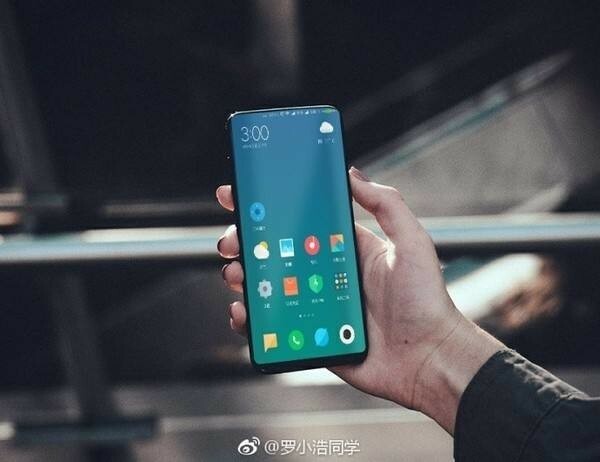 Xiaomi Mi Mix 2 live image allegedly leaked ahead of launch - Playfuldroid! With less than a week to go before the official unveiling of the highly anticipated Xiaomi Mi Mix 2, there will doubtlessly be an influx of leaks engulfing the device for the next few days. Right now, an alleged live image of the Mi Mix 2 had been leaked as well, showing off the front view of the device in full glory. Just like what earlier teaser from the Chinese company had suggested, the device in picture indeed comes with a tri-bezel design with a toned down bottom bezel this time round. Recently, there have also been reports that the Xiaomi Mi Mix 2 will be smaller size as compared to the current Mi Mix – which we have to admit is a little too bulky for comfort. Let’s talk a little about the device’s specs. From what we’d learned so far, the Xiaomi Mi Mix 2 will be sporting a 6.2-inches QHD display which is powered by a Snapdragon 835 SoC along with 6GB/ 8GB of RAM and 128GB/ 256GB internal storage space under the hood. To keep its lights on, there is a hefty 4,500mAh battery which promises hours of continuous usage on the handset. Earlier reports also pointed out that the device is also purported to come with a 3D facial recognition technology on top of a fingerprint sensor. Software-wise, it is expected to run on Xiaomi’s own MIUI 9 on top of the Android 7.1.1 Nougat out of the box.